RPG A Day 8: How can we get new people playing? I don’t know – how about asking them? Here are a few ideas that I have seen undertaken by people trying to get new players involved. There are plenty of ways we can all do this and they are out there already. Read a roleplaying game (RPG) book in public day is a thing. Go to a library and ask them if you can run a game on a regular basis. This gets in the new blood and matches the ideals of the libraries (that are left). I know that some people put starter boxes of Dungeons and Dragons (D&D) under the Christmas tree for the needy in the hopes to spark a new age of people. 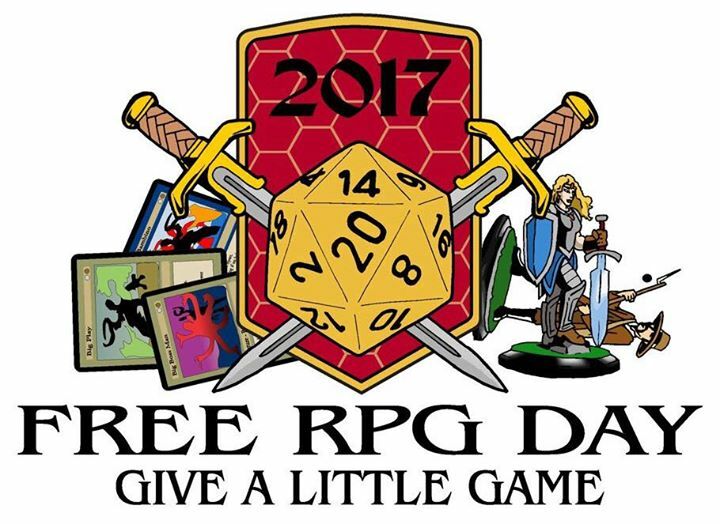 Free RPG Day is a thing that people can get behind too. Talk to your local game store and tell them that you want to run something. They may give you some of the product from Free RPG Day to run sessions. Play the games at your local store if you can. New players are interested in seeing the games in action. I used to run a game store and I had only three groups running in a week. My store had it as a free space and it got people interested. Interested people buy books and friendly local game stores keep running. Don’t force a new player to invest in a huge book that costs dollars, choose an easy free game to play. This gets them interested first. There are literally hundreds of free or pay what you want games, that you can use. Use Lady Blackbird for instance. The game is literally only a few pages long and can probably fill two to three sessions. It gives a really interesting premise to the game and is easy to use. Doing this may help you find something new too! If a new player wants to give it a try, spend some time with them. Talk to them about what to expect. Show them how to get involved. Tell them they can roleplay in character or just say “My character says…”. New players will get daunted by the nature of the game. Stop and give them suggestions. Help them to learn their characters. Don’t say after the game “You should have used this power…”, instead suggest it to them at the time. Getting to know their character will help them enjoy the game. When you use a mechanic, explain what is going on. The monster is charging Cameron’s character. It does this to get a +2 to hit the character. The monsters becomes easier to hit by others though, losing a point in armor class. Charging is a reckless attack, but helps to hit well armored foes. Previous Post: RPG A Day 7: How can a GM make the stakes important? Next Post: RPG A Day 9: How did a game surprise you?